Richard Hawkins was the son of the famous John Hawkins. He attempted to circumnavigate the World in a voyage that started in 1591. 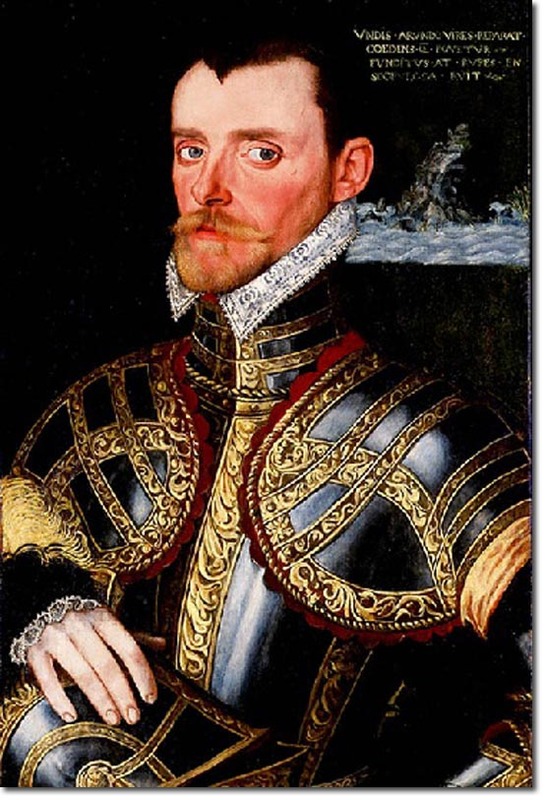 After leaving the coast of Brazil about the middle of December, on 2 February 1594 Hawkins sighted land, apparently in the modern Falkland Islands, which in honour of the queen he named Maidenland (this name continued to be used on some charts into the late Eighteenth Century). On 10 February he entered the Strait of Magellan, and after an eventful passage reached the Pacific safely about the end of March. His luck would run out in the Pacific when he was engaged by two Spanish galleons and was forced to surrender. He was later ransomed after spending 8 years in captivity.